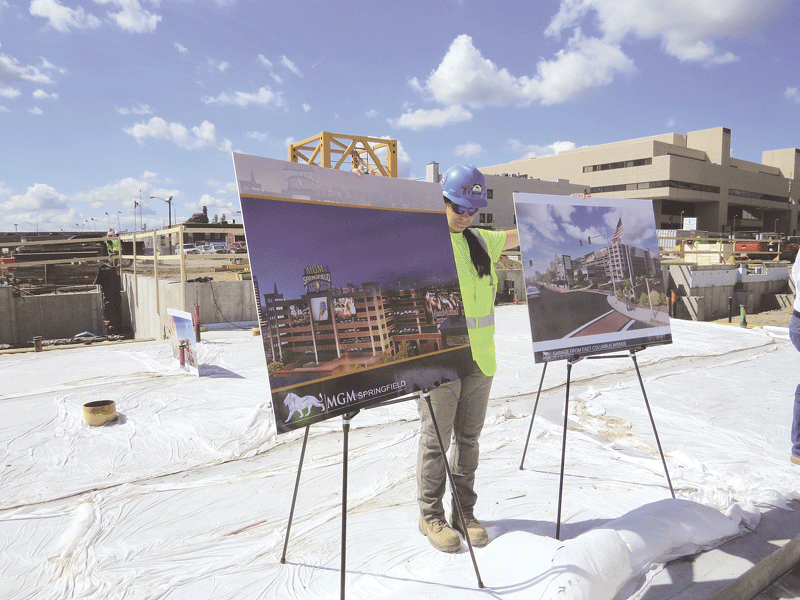 SPRINGFIELD — BusinessWest was part of a large contingent of media members and elected officials who were given a tour of the MGM Springfield construction site last week. MGM Springfield President Michael Mathis and Brian Packer, the company’s vice president of Construction, led the tour and offered commentary at several points along the way, including the future home of the hotel and South End food market, the parking garage, and the site of the First Spiritualist Church. 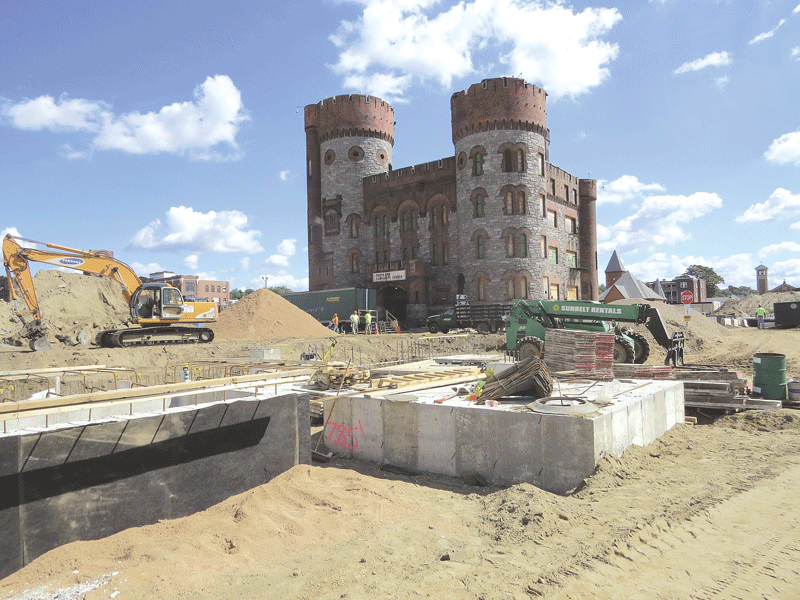 The tour, two years out from MGM Springfield’s opening, kicked off a site-progress series in which MGM officials have committed to deliver regular updates to local elected and city officials. 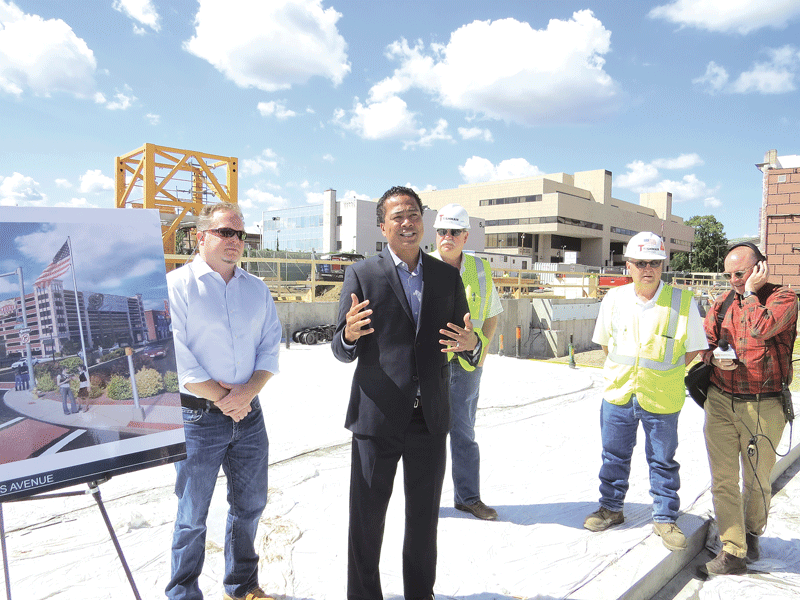 MGM is ramping up construction update communications with officials as the project moves along, said Mathis. 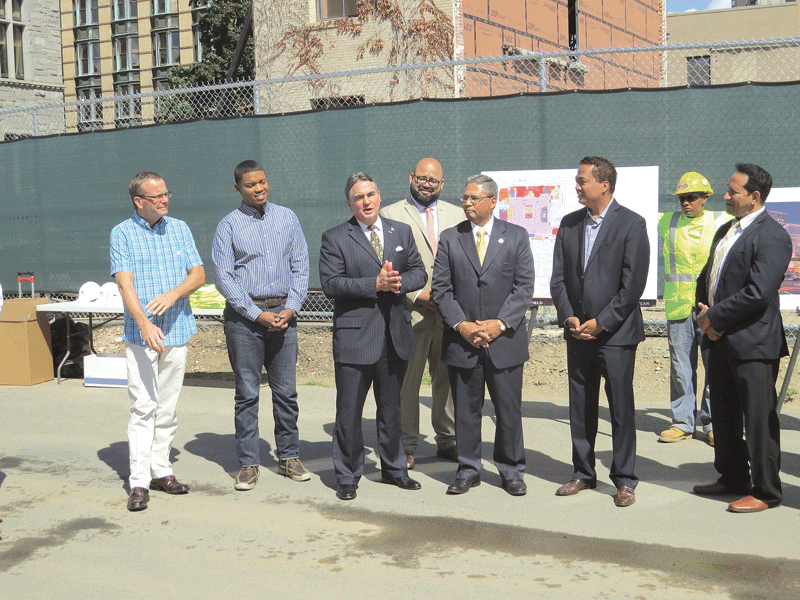 Springfield mayor Domenic Sarno offers remarks at the start of the tour of MGM’s construction site in the South End. Mike Mathis, right, and Brian Packer stop near the site of the parking garage to explain progress on that portion of the project. Architects’ renderings show how the work in progress will change the Springfield skyline. The former South End Community Center, the scene of comprehensive interior demolition work, will be renovated and become a key component of the MGM Springfield casino.